The word ‘emergency’ is a broad term which includes many incidents. These incidents may involve deaths or significant losses and may affect many different groups of people. Some events that are included in emergencies are as follows. While it is not always possible to prevent all emergencies, an emergency management degree will teach students how to handle emergency situations and minimize the loss of lives as well as physical and environmental damage. Thus, emergency management is a process that consists of the following activities. 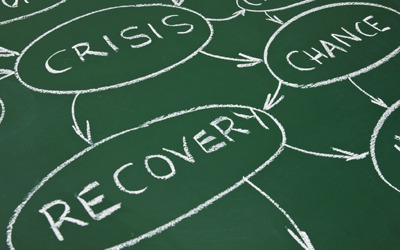 It prepares individuals, groups, and organizations for emergency situations. It aims to minimize the loss incurred by an emergency situation. It responds quickly to emergencies to protect lives and property. It makes effort to recover people from emergency situations and provide rehabilitation. What are the degrees available in emergency management? An associate degree in emergency management normally takes two years to complete. The degree is for those individuals who wish to acquire an entry level position in the field. Some major topics covered in the degree are as follows. A bachelor’s degree in emergency management aims to prepare students for careers such as emergency managers. The program normally takes four years to complete and it may also require students to complete an internship to get some hands-on experience in the field. Students can acquire both managerial skills as well as technical skills related to disaster management. Although, coursework can vary depending on the institute you select, some major courses offered in the degree are as follows. A master’s degree in emergency management is an advanced level degree that may offer specialization options to students. It is normally a two-year program and focuses on the planning and implementation of disaster management programs. Although, coursework can vary from one institute to another, some major courses offered in the degree are as follows. A PhD degree in emergency management is for those students who wish to gain knowledge and skills related to the academic aspects of emergency management. Students get the opportunity to work on very extensive research projects. They have to come up with original ideas to begin their research on various aspects of disaster management. Some key topics covered in the degree are as follows. How can I select an online emergency management degree? If you want to select an online degree in emergency management, you may follow the steps below. Make a list of accredited programs offered in emergency management. Make sure these programs are accredited by a recognized agency. Thoroughly read about the coursework and specialization options. Make sure that your preferred programs offer courses related to your chosen career path. Also take alumni feedback and find out about their experience. Research on the overall repute of the online school. Compare tuition costs. Although, tuition cost should not be considered as the only factor, it may help you select a cost effective institute. Read admission requirements and apply for the school that meets most of your educational and career requirements. 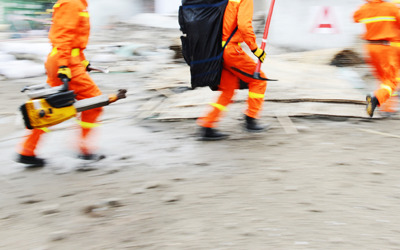 What are the career prospects with an emergency management degree? 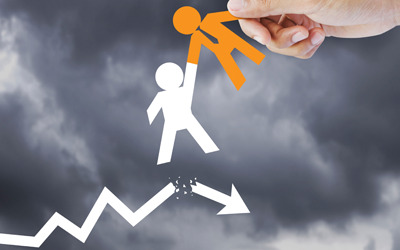 According to the Bureau of Labor Statistics, employment of emergency management directors is likely to increase at 8 percent from 2012 to 2022, which is as fast as the average growth of all occupations. The growth in employment opportunities can be partly attributed to changes in weather patterns. Changes in weather patterns are likely to make some areas prone to droughts, hurricanes, flooding, and other weather-related emergencies. Besides, growing urbanization in high risk coastal areas may increase the demand of emergency managers. Emergency directors will also be needed to serve different organizations and businesses, which require support during and after emergencies. The employment growth of emergency directors is fastest in schools, hospitals and private companies. Where can I work with an emergency management degree? The Bureau of Labor Statistics states that there were 9,900 jobs held by emergency directors in 2012. Majority of the emergency directors worked for the local or state government, while others worked for hospitals, universities, private companies, and non-profit institutions. Some of the major industries that employ emergency directors are as follows. What are the essential traits and skills for emergency managers? Emergency managers have a challenging job and therefore they need to have some essential personality traits and specific skills to perform well on their job. Some of the key traits and skills are as follows. Communication skills to communicate emergency plans to all levels of government and general public. Critical thinking skills to assess the hazards and problems resulting from an emergency situation and to respond effectively. Decision making skills to make timely decisions in critical and stressful situations. Interpersonal skills to work effectively with many law enforcement officials, government agencies, and general public to manage emergency responses. Leadership skills to make sure emergencies are responded effectively. Also, to train and organize a number of people to carry out tasks in different situations. Between the years 2002 and 2012, natural disasters caused a damage of $1.7 trillion and 2.9 billion people were affected. In 2011, there were 154 floods, 16 draughts, and 15 incidents of extreme temperature throughout the world. Interestingly, over half of the victims of Hurricane Katrina and Hurricane Sandy were senior citizens who exceeded the age of 65. Flooding is the most widespread natural disaster in the US apart from wildfires. 90% of all natural disasters declared by the President involve flooding. Q:What will I learn in emergency management degree programs? A:In an emergency management degree program, you will learn how to detect and manage threats to pubic safety. The program will highlight different aspects of public safety issues and public safety disciplines. You will also learn how to manage public safety institutions and respond to safety threats professionally and ethically. Q:What are emergency management courses about? A:These courses are designed to prepare students for managerial or entry-level roles in this field. Students will learn about different natural and man-made disasters, and how to effectively respond to such disasters. Topics such as the following may be covered: prevention and mitigation, emergency responder agencies, emergency management cycle, and more. Q:Can you tell me about the jobs associated with a PhD in emergency management? A:With a PhD in emergency management, you may qualify for different job positions in the police force, correctional facility, emergency communications agency, court system, private security firms, and more. You can take on research and specialist positions. A PhD is the highest level of education you can get in any academic discipline. Q:What courses will I be studying in a masters in emergency management degree? A:In a masters degree in emergency management, you will acquire in-depth knowledge of the field, and develop skills needed to manage emergency situations that are a public safety threat. Although the curriculum may vary from place to place, some of the courses most likely to be covered are: risk management, emergency management, contemporary practice in emergency management, public safety issues, applied research, and more. Q:Can you tell me about some of the courses covered in a bachelors in emergency management program? A:A bachelor degree in emergency management will cover a range of courses such as the following: hazard identification, emergency decision making, analysis of disaster response, post impact of disaster management, team management and leadership, human services, communications, risk assessment, and mitigation. The exact curriculum may vary from place to place. Q:Can you tell me about the compulsory courses studied in an emergency management certificate program? A:With the help of a emergency management certificate program, you will develop the skills needed to manage emergency situations that are a threat to public safety. The program will include a number of compulsory courses such as the following: disaster preparedness, risk assessment, basic emergency management, terrorism, incident management, crisis communication, and more. The coursework may vary a little from place to place.